Infrastructure used for mobile and wireless telecommunications in the UK and further afield. This is a new homepage, replacing my old one. 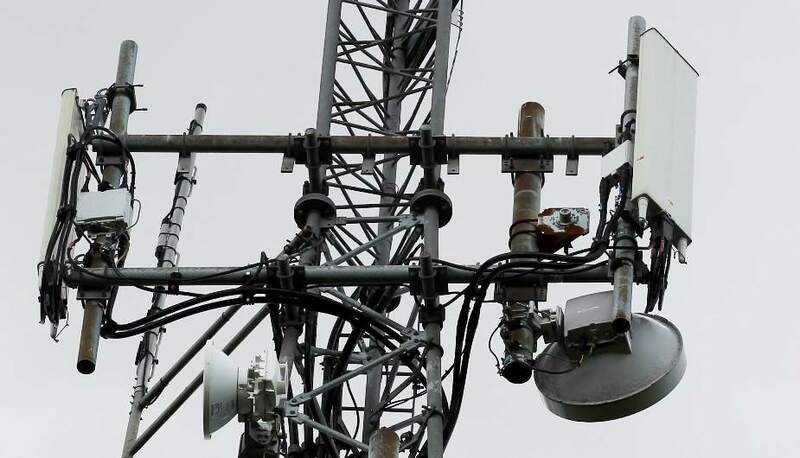 Mobile phone masts, also commonly known as cell towers, are critical to provide the services we use everyday on mobile phones, such as the ability to call, text and use mobile data while on the move. 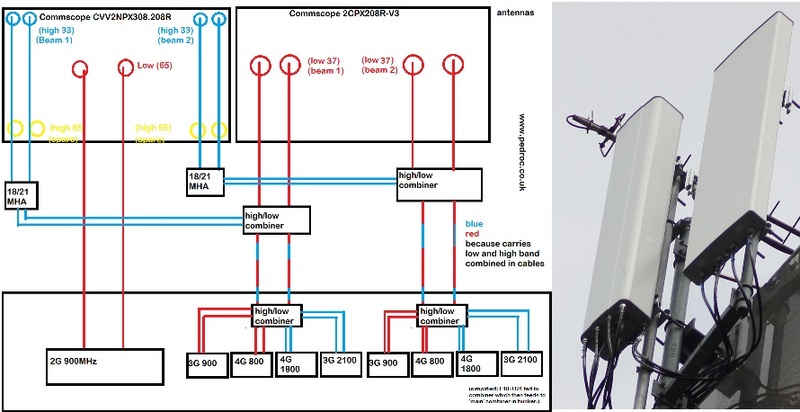 The pages below contain images, schematics and detailed information explaining the masts used by the UK's Mobile Network Operators (MNOs) Vodafone, O2, EE and 3 to broadcast 2G, 3G and 4G. 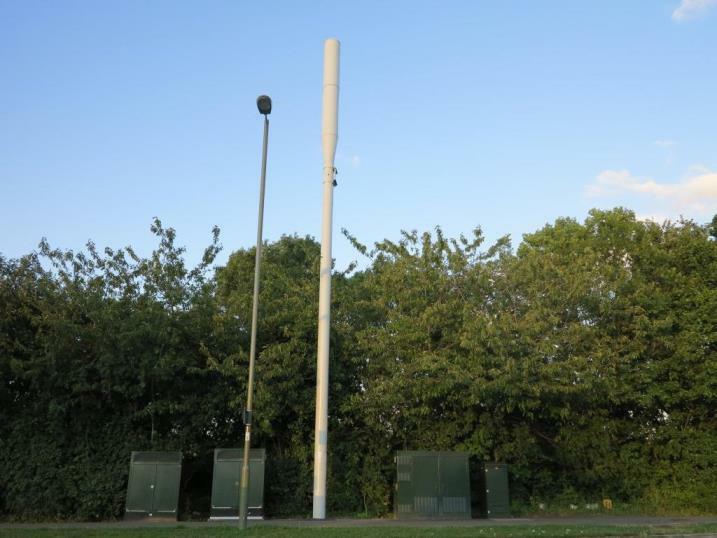 Monopole Masts are compact masts used by the MNOs to provide signal to an area in a visually unobtrusive manner, leading to their ubiquitous use in urban and sensitive locations. 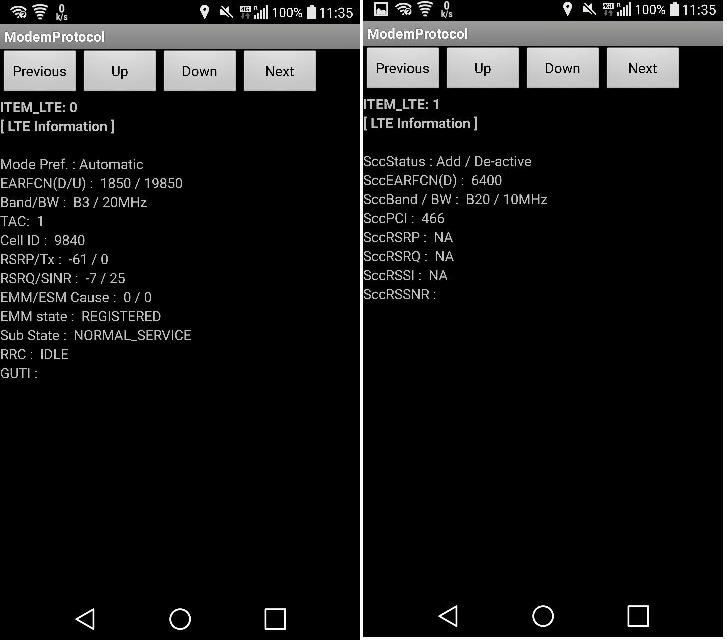 They can usually be configured to carry all the frequencies that a traditional tower can, permitting 2G, 3G and 4G operation. 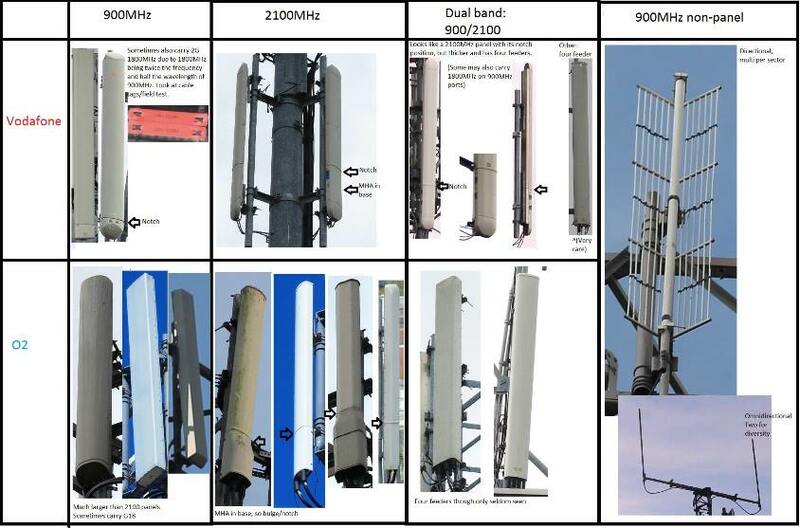 Masts used by Vodafone and O2 for 2G and/or 3G technologies. Now being replaced by new panels for 4G, and improved 2G and 3G services. 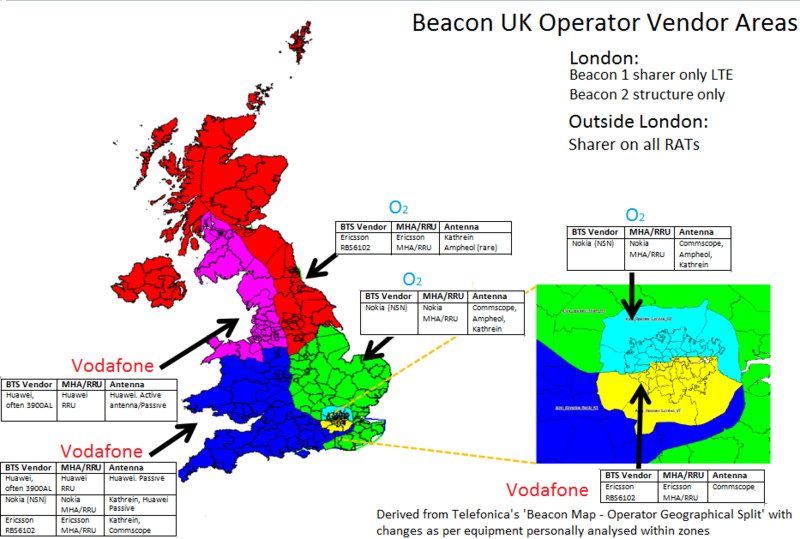 Vodafone and O2 4G masts described and explained by the CTIL-Beacon area they reside in, ordered within each area by ports/feeder number. 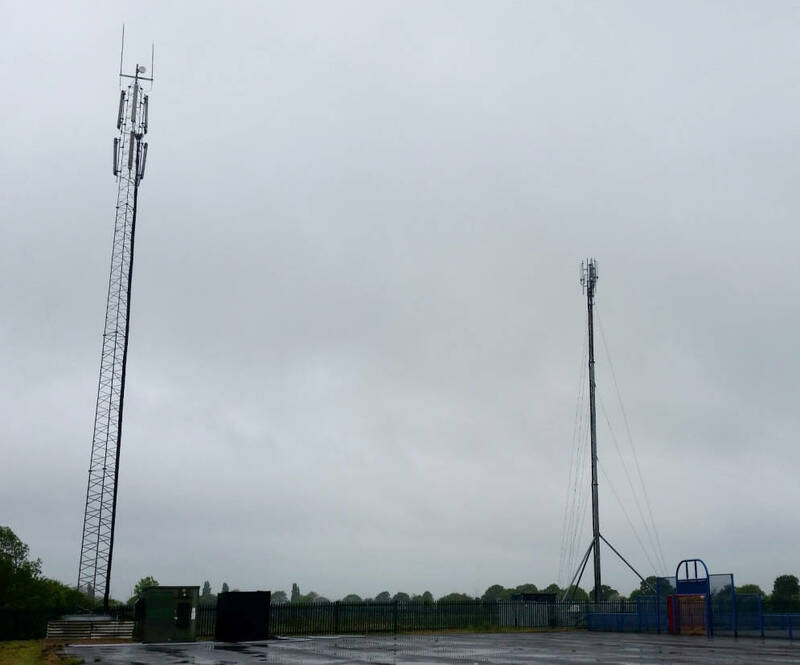 Masts (not Monopoles) that carry upgraded Vodafone and O2 signal. This page largely just exists to show examples in a different order to the main page above. 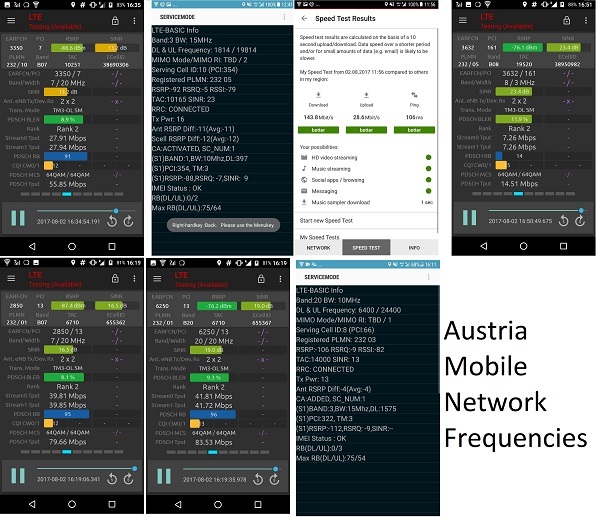 This page details Vodafone's refarm of 1800MHz spectrum from 2G to 4G and 2100MHz from 3G to 4G which provides additional capacity to them. Masts O2 use to boost capacity in urban areas, including six sector and more, as well as a microcell. Page showing some legacy masts used by EE and 3. More content to be added soon. A mast installed as part of a government project to improved signal. 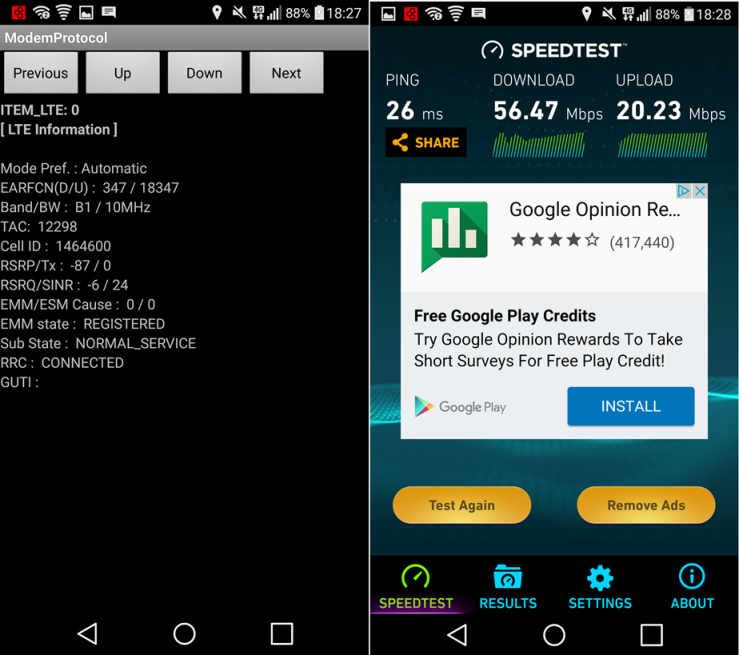 Has all MNOs and is setup for 4G. Mobile masts seen on the Isle of Man. 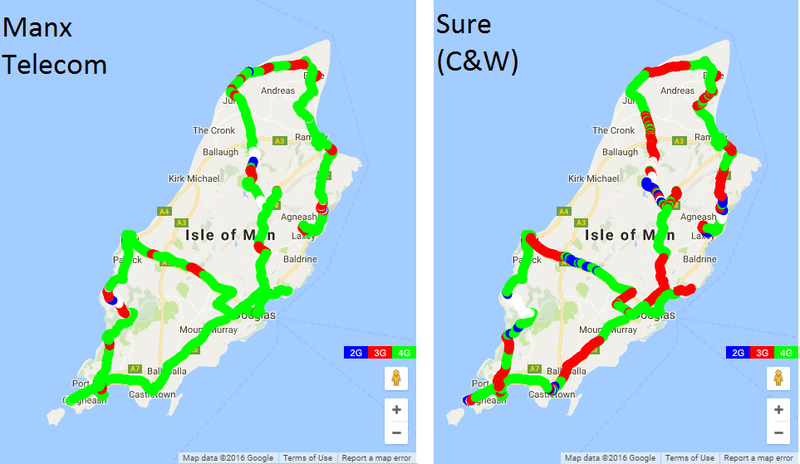 Comparing the performance of the Island's two network operators. 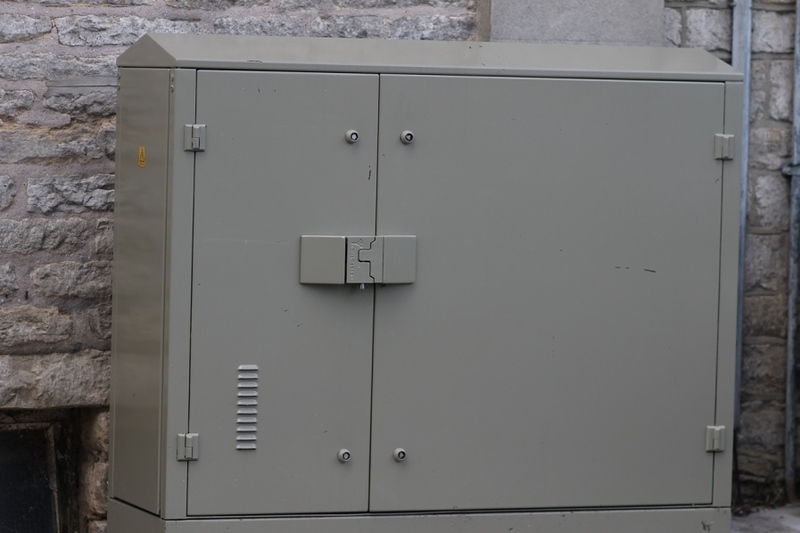 The radio setup Manx Telecom uses on the Island. These masts were originally built in order to carry analogue terrestrial TV transmissions. Now they carry UHF Freeview (DTV) and many also have mobile masts. 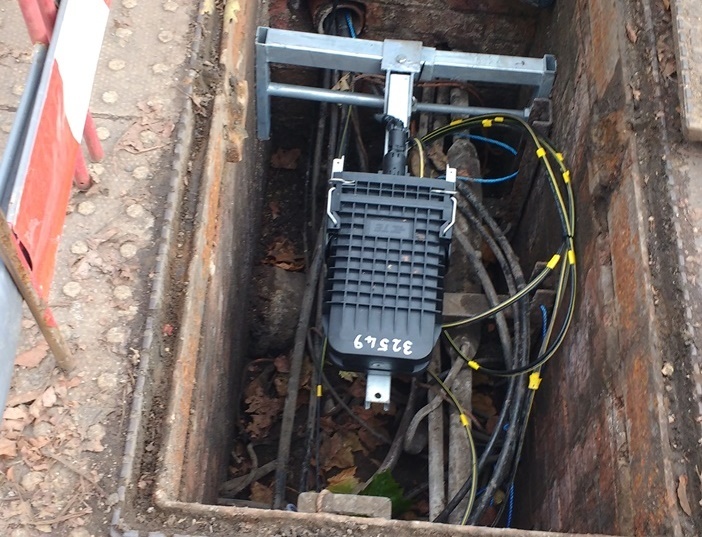 A sample of BT's FTTC and FTTP infrastructure. Isle of Man: TV Transmitters. TV transmitters on the Isle of Man. Located at Port St Mary. With Cellular. This is a basic HTML site to reduce site bandwidth and overheads. No guarantees are made for the accuracy of any content on this website.